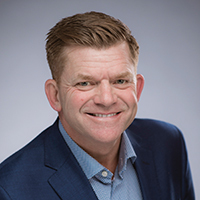 In March 2015, Brian Jean was elected leader of Wildrose. Despite critics and pundits predicting the end of the Wildrose, Brian led the party back from the brink to form the official opposition and win 22 seats. Time and again, he’s spoken up for regular Albertans. On July 22, 2017 he helped lead Wildrose to a historic unity vote to form the new United Conservative Party. Raised in Fort McMurray, Brian is a hunter and a trapper. He’s an entrepreneur who has built businesses from the ground up and built them to last. He knows what it’s like to sign the front of a paycheque. He’s a teacher and a community leader in Fort McMurray. And he’s even a lawyer, but he asks that you don’t hold that against him. 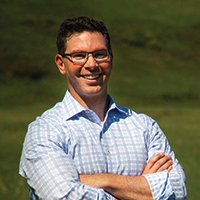 Brian is the current MLA for Fort McMurray-Conklin and proudly served as the MP for Fort McMurray and northern Alberta for over ten years between 2004-2014, winning over 70 per cent of the vote in 2011 as part of the majority Conservative government. What is your position on carbon pricing and do you think it leads to better environmental outcomes? Alberta is to my mind the most beautiful place in the world, and Albertans absolutely expect that their air, water, and land are conserved for the enjoyment of future generations. We can always make environmental protection more efficient and effective, but Alberta’s government and industry over the last few decades have worked quite successfully at ensuring our massive energy industry leaves as small a footprint as possible. As a Fort McMurrayite, I know how much of a challenge this has been and how far our industry leaders have gone to meet that challenge. already struggling due to prices and our regulatory burden. Reducing our footprint by gutting investment and activity in our primary economic sector is the worst strategy I can imagine. All this does is push the activity into other jurisdictions—many of which do not care about workers or the environment nearly as much as we do here in Alberta. Carbon leakage is job leakage, and we are doing the global environment and workers no favours by forcing the world to look somewhere other than Alberta for their energy needs. How can the provincial government better advocate for oil and gas infrastructure projects (namely pipelines) and market access? The UCP caucus has been pressing the government hard on this file since the election. We’ve had some successes, namely getting the NDP to support motions in the Legislature to push Trudeau to drop his BC coast tanker ban and support Energy East, but these are far from enough to get the job done. What our provincial leaders have failed to do for a decade is proudly stand up for all that we have achieved in Alberta’s energy sector. Previous leadership tried to fly under the radar and that didn’t work. The [current] government’s strategy has been to agree with our opponents that our activity is bad, but try and persuade them we are earning a non-existent social license by hampering activity and forcing carbon taxes out of the smaller players and Alberta families. Now we have Prime Minister Trudeau talking about phasing out the oil sands! What’s needed is leadership that aggressively holds up Alberta’s standards and successes to compare with anyone else in the world. Leadership that points out the excellent quality of life our workers enjoy and the world-class environmental monitoring and reclamation that goes on compared to the other major producers in the world. Leadership that always begins with the premise that the development of carbon-based energy has been a blessing that has made possible the high quality of life enjoyed by people around the world, and is still vital to the development many countries still need. We need to repeatedly remind our neighbours that they and everyone else in the world are hungry for carbon energy, and that blocking our market access only means in the short term we are throwing away money—much of which makes its way to municipal, provincial and federal coffers—in more expensive and dangerous transportation like truck and rail. In the long-term we are just pushing those jobs and profits to the dictatorships we compete with while we leave our resource in the ground. Whether it is playing hardball with the new BC government to ensure the Kinder Morgan pipeline is actually built, or lobbying eastern Canadians on the merits of Energy East, or working with the U.S. to get Keystone XL completed, my government will make market access through pipelines a priority. What policies could the Alberta government enact to increase the province’s competitiveness in terms of our oil and gas industry? Industry wants regulatory streamlining and certainty —neither of which is a priority for this government. Instead they started with a royalty review and corporate tax hike, followed it with a carbon tax package, and have failed to achieve the potential that existed in streamlining the single-window AER. So an investor deciding where to go right now sees a government that is embarrassed of our energy sector, will make them wait far longer for approvals, will tax them on emissions more than any north American competitor, and a general lack of stability. I have proposed not only bringing business taxes back to 10%, but a 33% red tape reduction across government, just as BC did in 2001 to 2004. This will force each ministry’s attention on streamlining the demands they make on businesses to focus on what is necessary for safety and environment. Energy businesses are like others in that they want to focus on efficient production, not kowtowing to bureaucrats. Government has an essential role in enforcing regulatory standards, but it has to be done more efficiently than our competitors, and that is far from the case today. The oil and gas industry is increasingly staffed by highly-skilled, technologically proficient professionals. How can the provincial government ensure that a steady stream of young prospective oilfield employees remains in the province of Alberta? Unfortunately time is of the essence, because we are losing human capital every day. The answer is the same as to the question of competitiveness: the way to keep these professionals in Alberta is to boost activity in the patch and get them working again. As for future professionals, I have pushed for working with our high schools to do more dual-credit courses that get students some hands-on training and experience before they decide their post-secondary track. Given Alberta’s abundance of resources, the building and manufacturing that goes on to support it, and the excellent living that can be made in these great jobs, there should be more emphasis for a lot of kids on pursuing trades and practical training rather than holding up a university education as the model for everyone. I will also fight to maintain the effectiveness and autonomy of the National Energy Board, and push to keep it based out of Calgary where it belongs. What does the future of the Alberta oil and gas sector look like in five years? In ten years? To some extent that relies on where prices go of course, but it also relies a lot on the outcome of the next election. Under my leadership investors would get an immediate signal that Alberta is not just open to but actively welcoming their investment. AER timelines will be shortened (legislatively if needed), the carbon tax will be repealed, corporate taxes will be reduced, and I am confident that significant investment and activity will return for another generation. I believe a more competitive environment would not only increase production, but also spur more petrochemical activity to take advantage of the abundant feedstock we have available in Alberta. Jason committed himself to public life in the early 1990s as President of the Canadian Taxpayers Federation, where he fought hard for lower taxes and fiscal responsibility. In 1997, Calgary voters elected him to Parliament where he worked to unite conservatives nationally. Since then, he’s been voted the “best overall,” “hardest working,” and “most knowledgeable” MP by his colleagues. Jason was called “perhaps Canada’s best immigration minister” by the National Post, and also led Canada’s two largest ministries: Employment and Social Development, and National Defence. As Multiculturalism Minister, he helped to double the Conservative Party’s support amongst new Canadians. In March of 2017, Jason was elected leader of PC Alberta. 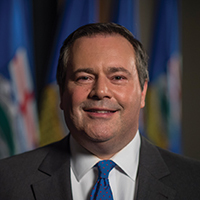 He successfully negotiated a unity agreement between PC Alberta and the Wildrose Party, which was supported by 95% of members in both parties. He is running for Leader of the United Conservatives to defeat the NDP, and renew the Alberta Advantage. I reject the euphemism “carbon pricing.” A price is a value established in the free exchange of a good or service. The provincial NDP and federal Liberal governments are imposing carbon taxes, not prices, i.e. they are using the coercive power of the state to extract money from the productive sector of the economy. It is conceivable that a prohibitively high, universal carbon tax would have a meaningful impact on CO2 emissions. But the provincial and federal carbon taxes are too low to have such an impact, and obviously are not part of a worldwide tax scheme. As University of Alberta Professor Andrew Leach, who helped to design the Alberta carbon tax, has said, “until the rest of the world has policies that impose similar cost, you’re not actually reducing emissions to the extent that you think. You’re just displacing the emissions and the economic activity to other jurisdictions.” Professor Leach has also said a carbon tax would have to be “in the range of $150 to $200 a tonne” for Canada to achieve its Paris Climate Accord targets. His view is shared by most other carbon tax advocates. So while a carbon tax might, in theory, “lead to better environmental outcomes,” the Alberta and Canadian carbon taxes (at $20 to $50 per tonne) will not achieve any measurable environmental benefit. This is particularly clear given the problem of carbon leakage, e.g. the shift of some $34 billion in foreign capital away from the Alberta energy sector in the past year, toward jurisdictions which do not have carbon taxes. It is also exemplified by the fact that British Columbia has higher emissions than when its carbon tax was imposed, and jurisdictions such as Australia have repealed their carbon taxes, in part because of no meaningful environmental benefit. By radically increasing efforts to promote energy literacy and advocate for these projects with Canadians in other provinces. Alberta, under both PC and NDP governments, has taken a far too passive and defensive approach in advocating for the industry. Too often the message has been apologetic, failing to point out the degree to which the jobs, social programs, and economic security of millions of Canadians are advanced by the wealth created through the energy industry. Increased advocacy efforts must include paid advertising, social media engagement, earned media, and efforts to engage both key influencers and grassroots supporters of the industry. The Government should also encourage the industry to do much more, following the lead of successful programs such as CAPP’s Energy Citizens, and CAODC’s Oil Respect campaign. For example, if I were Premier today, I would be spending time regularly visiting Quebec, travelling the proposed Energy East corridor, speaking (in French) to municipal councils, chambers of commerce, service clubs, local and regional media, etc. to explain the benefits that Quebecers receive from Western Canada’s energy sector, and the advantages of allowing more Canadian oil and gas to displace foreign sources upon which Quebec currently depends. • Immediate repeal of the carbon tax. • Reduction of other tax rates as soon as possible. • Putting Alberta back on track to a balanced budget, to eliminate the uncertainty created by large structural deficits. • A focussed effort to dramatically reduce the regulatory burden, and accelerate the approvals process to move at the speed of business. • Stop the NDP government’s drive toward massive subsidies for unreliable forms of power production, to stop the consequent increase in power prices. • Repeal recent amendments to labour legislation by restoring mandatory secret ballots for union certification. I would consider the steps enumerated above to restore investor confidence, and create the optimal macroeconomic conditions for growth. The International Energy Agency’s World Energy Outlook projects growing demand for hydrocarbons through at least 2040. If governments in Canada move from policies designed to inhibit the industry to those designed to expand it, Alberta can and should be a major player in that growing global market. With the highest environmental, labour and human rights standards of the world’s major oil and gas producers, there are strong moral and practical arguments for Alberta to be at the forefront of global energy markets. To be blunt, if governments continue to strangle the industry with taxation, red tape, a lack of market access, and other anti-growth policies, then the future in five or ten years will be one of decline. If, however, governments free the industry to compete and sell its products globally, Alberta oil and gas will have a bright mid-term future. Doug is a father, husband and restructuring lawyer with Dentons. He is a third generation Albertan who has experienced the best and worst of our province, and has a vision for a new Alberta. As a restructuring lawyer, Doug has seen firsthand how Alberta companies are struggling. While low commodity prices deserve much of the blame, Doug feels NDP policies are making a bad situation worse. Alberta is no longer competitive and too many Albertans are out of work. Doug believes Alberta can, and should, be the most exciting place to live, work and grow in Canada. But for that to happen Albertans need new jobs, investors need new reasons to be confident in our province and we need to ensure all Albertans have the opportunity to find success. In Doug’s opinion, Albertans deserve more than empty words and vague promises, they deserve a plan. They deserve real substance. They deserve a platform that builds a new Alberta, instead of one that just says no and repeals everything the previous government has done out of spite. Doug’s got that plan. From creating jobs and getting spending under control, to getting Albertans back to work and implementing the largest tax relief plan in Alberta’s history, Doug has new ideas for a new Alberta. I do not support the NDP carbon tax; this tax is reckless. I would repeal the NDP carbon tax. We need to restore investor confidence and provide market certainty. We must ensure that Alberta becomes an attractive place for energy companies to do business again. • Eliminate two business regulations for every new business regulation that comes into effect. • Work hand-in-hand with small business owners and associations in Alberta to identify regulatory efficiencies and cut through red tape in a more open and transparent manner. • To get Albertans working again our plan will offer significant tax relief to businesses. Corporations currently paying a 12% rate will see tax relief to 10%. The NDP’s increase to a 12% corporate tax has been estimated to have cost the average Alberta household $830 annually through costs that have been passed on to the consumer. • Additionally, small businesses will experience the largest amount of tax relief as our proposal would cut their tax rates in half, from 2% to 1%—bringing back the Alberta Advantage. • Our plan would also see the elimination of the NDP’s reckless carbon tax. Beyond specific policies, the next leader of the UCP and premier of Alberta need to stand up for the best interests of Albertans. After the recent announcement by the B.C. government that they will seek to do everything in their power to block the TMX pipeline, I stated publically that we should seek to kick out B.C. from the New West Partnership if they are unwilling to cooperate on projects that will benefit all Canadians. Our next leader needs to be willing to stand up for what’s right for Alberta companies so we can become the most attractive place to do business again. We need to ensure that Alberta is an attractive place for energy companies to do business. This means decreasing the red tape and regulations that businesses face when starting up or putting forth new projects.This also means offering Albertans and businesses alike the largest tax relief in Alberta’s history. We need to make sure that we are supporting innovation in the industry. This means that the provincial government should work closely with private industry and post-secondary institutions to be on the cutting edge of oil and gas technology. There need to be jobs available for young people when they enter the labour force. Therefore, companies need to be confident about their economic future and assured that the government is committed to restoring Alberta as the best place to do business in Canada. We must ensure post-secondary institutions engaged with research in energy technologies have access to stable funding. This will not only ensure that our energy companies can be on the cutting edge of their field, but it will also attract university students and academics to live and work in our province. Alberta has been, and remains a leader in the oil and gas resource sector. The technologies that our post-secondary institutions and oil and gas companies have developed over the years have not only made us environmental leaders, but also present real opportunities for us to further encourage other jurisdictions to follow our example. 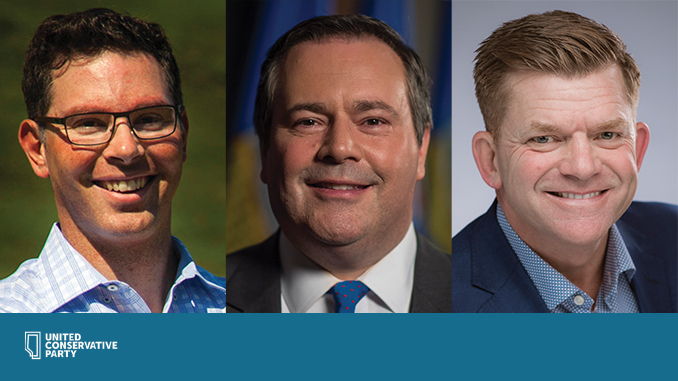 As a politician, it is difficult to speculate about where exactly our energy industry will be in five or ten years, but the industry should feel confident that if I am successful in my leadership bid, the UCP will put forth policies that are supportive of businesses and innovators within the industry.